Girl is NOT a 4 Letter Word: Happy Go Skateboarding Day! Happy Go Skateboarding Day! While we think you should get out and skate every single day - today is a great day to get together with other skaters at an event in your area (see below where we will be today) and also to encourage more people to SKATE! 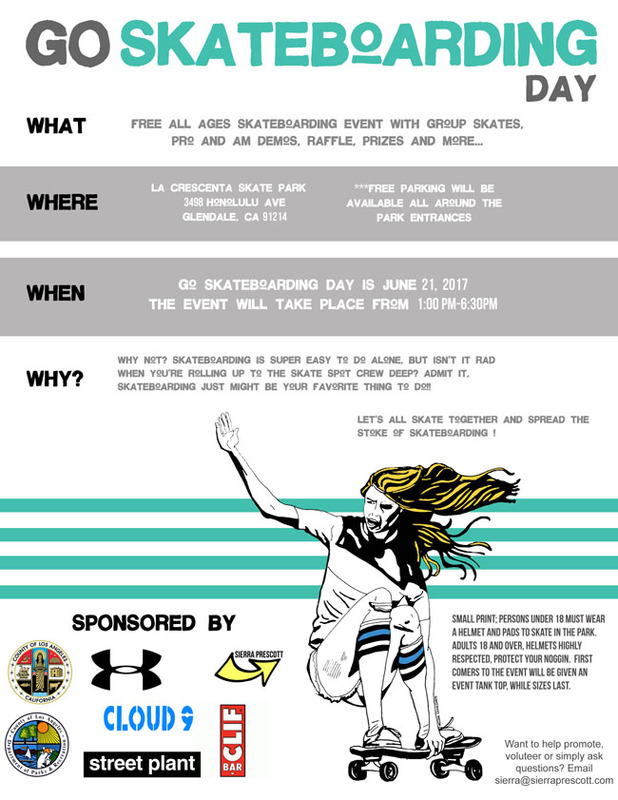 So if you are in the Los Angeles area - we hope to see you at La Crescenta Skatepark today!